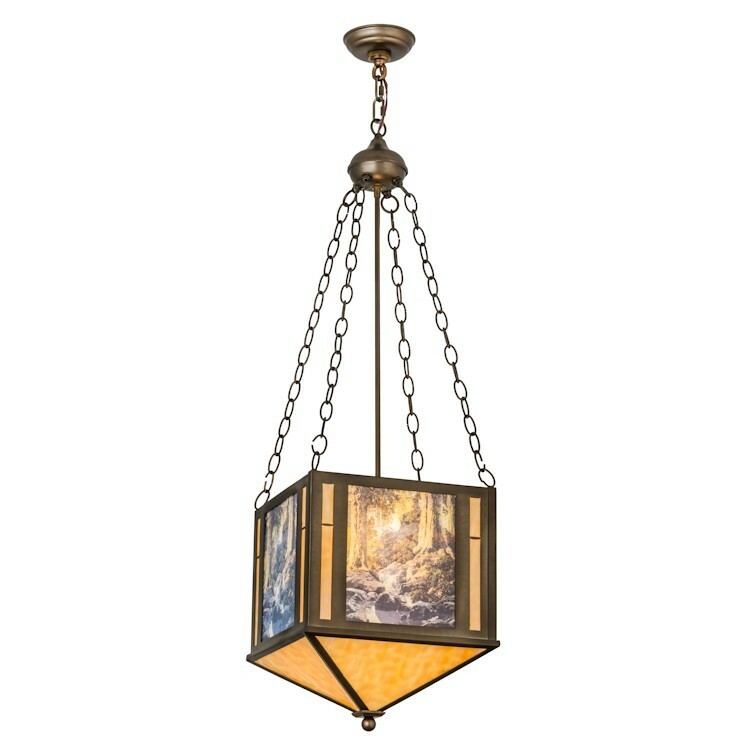 The The Glen Inverted Pendant Light is an exquisite fused image of The Glen that is featured on this lovely pendant light with Beige art glass complemented with a frame and hardware hand finished in Antique Copper. 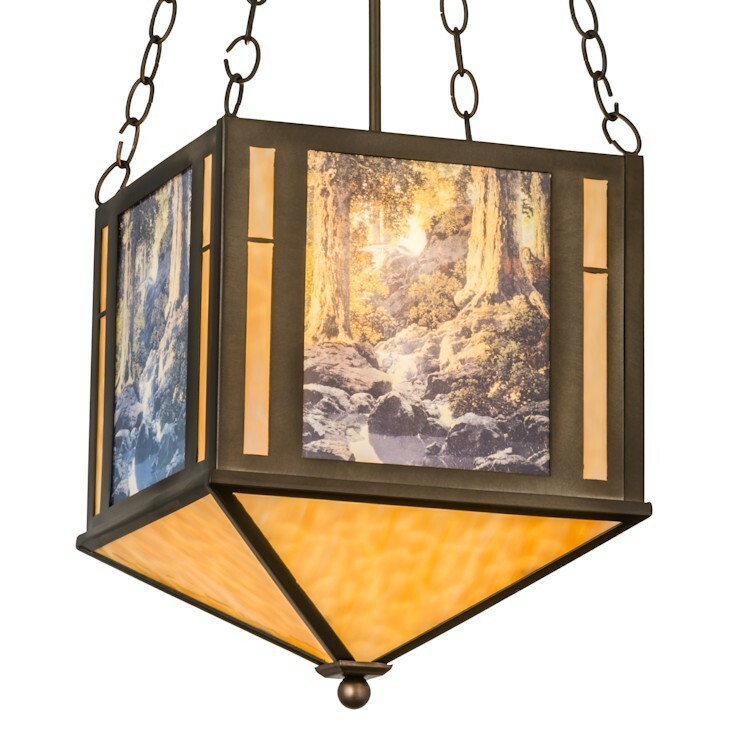 The The Glen Inverted Pendant Light is an exquisite fused image of The Glen that is featured on this lovely pendant light with Beige art glass complemented with a frame and hardware hand finished in Antique Copper. This licensed fixture re-creates Maxfield Parrishâ€™s techniques and luminescent colors, realism and fantastical imagery. This licensed design is authorized by the Maxfield Parrish Foundation. Maxfield Parrish (1870-1966) was one of the best-known and most successful artists of his day. 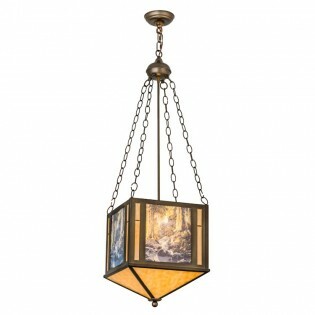 This pendant is an ideal centerpiece for nearly any room in your home, restaurant or commercial space.